Sorting out laundry makes a simple chore so hard and tiring, It is time consuming and I simply dont like to waste energy, water and detergent.I was thrilled when I recently got chance to try this new invention by Purex,They have this new laundry detergent that changes the rules we have been following for so long.It comes in a fresh scent ,and different convenient sizes. New Purex No Sort for Colors detergent features a breakthrough Anti-Color-Transfer Technology™ which traps loose dyes in the wash, and prevents them from settling onto other fabrics—leaving your clothes bright and clean without color bleeding accidents. 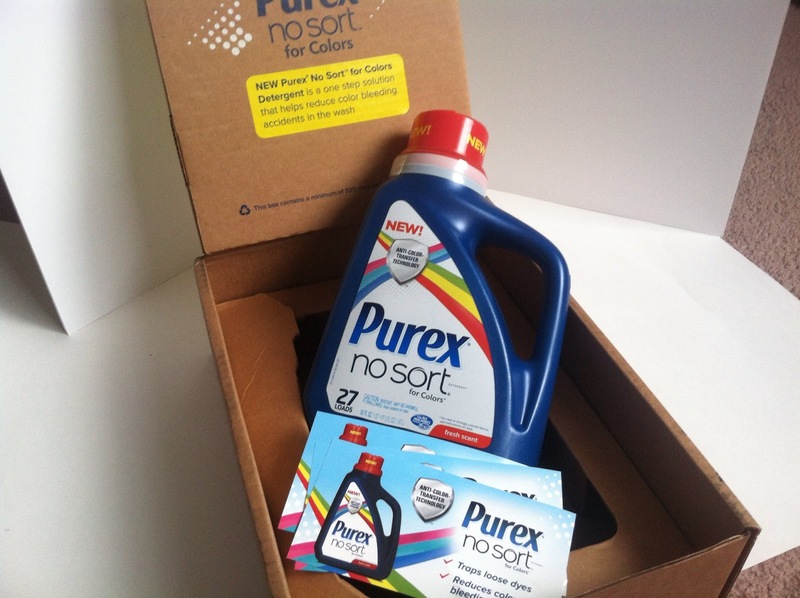 Can Purex® No Sort™ for Colors be used on all types of laundry? You bet! 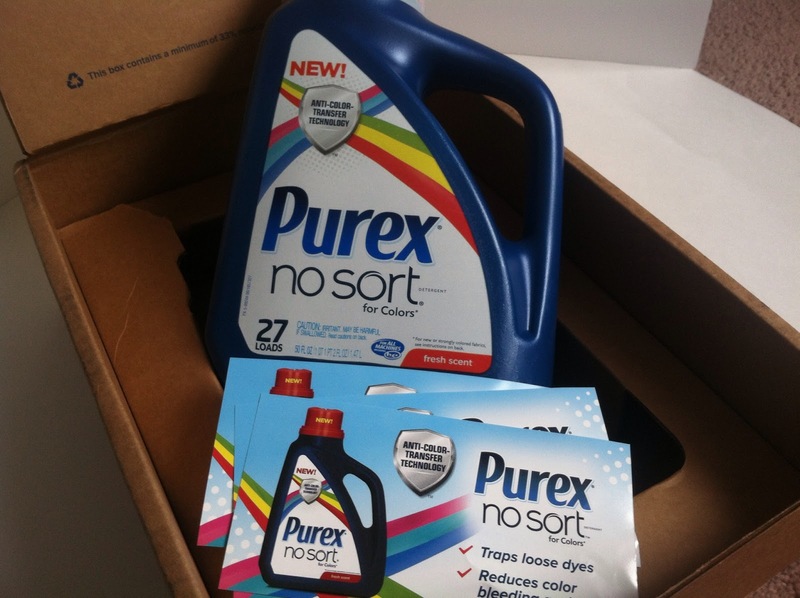 Purex® No Sort™ for Colors can be used on all laundry marked machine-washable. Just be sure to check the label for any special care instructions. How does the Anti-Color-Transfer Technology™ in Purex® No Sort™ for Colors work? When washing your colors, dyes can often bleed, or transfer, from your darker colored garments onto the lighter ones in the wash. Our new Anti-Color-Transfer Technology™, exclusive to Purex® No Sort™ for Colors, traps loose dyes in the wash, and does not let them settle onto other fabrics. When your wash cycle finishes, the trapped dye is simply washed down the drain along with the water – leaving your clothes bright and clean. Do you wish to try this amazing detergent ,Enter below to win a free coupon!! I'm really vigilant about sorting clothes or washing new colors separately. I have had way to many things bleed that ruin other items.